Students in the College of Liberal & Creative Arts (CLCA) is home to the Schools of Art, Cinema, Design, the Humanities and Liberal Studies, Music, and Theater and Dance. 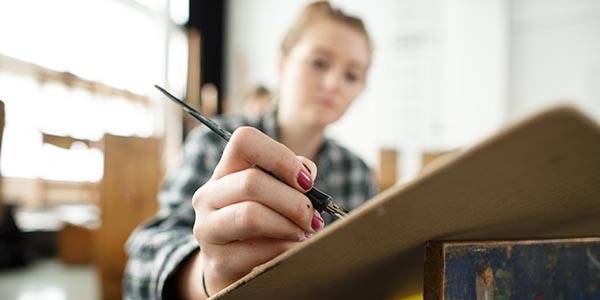 Scholarships provide our students with the time to focus on their craft to become incredible performers, the means to acquire equipment to create intricate projects and pursue their art, and the opportunity to undertake critical research which will enrich our understanding of the world's culture and history. 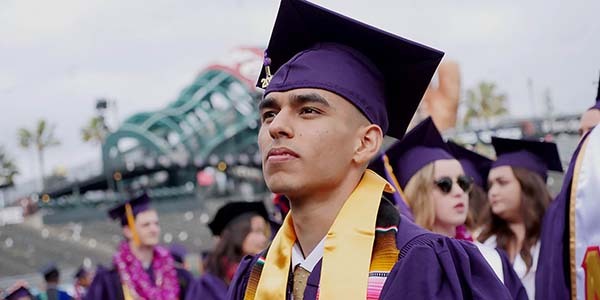 After a successful career in the music industry, Len Haynes returned to SF State to pursue two degrees in video production. He received two scholarships at the University, the Bengier Foundation University Scholarship, and the $2,000 Osher Reentry Scholarship, which is awarded to students pursuing degrees later in life. Len now teaches video production at SF State and recently had a song chosen to be on the soundtrack of the movie 'Ocean's 8'. After winning the Gordon Thomas Scholarship in Fall 2017, Grace Villaroman was able to buy much-needed equipment to create her animations. Her distinctive portfolio won her a much-coveted internship at Disney’s Pixar studios just months later. In 2017, Seira Yasumatsu won a $8,000 scholarship funded by Sodexo. The award helped her to meet the challenge of supporting her 2-year old daughter while focusing on academics. Months later, a product she designed won a prestigious award.